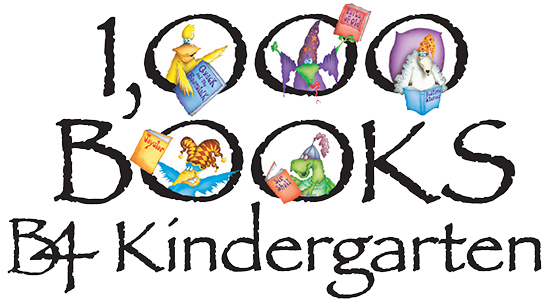 To start using the 1,000 Books B4 Kindergarten Book Log web site, you will need to create an account for yourself. Go to the Create a New Account page and fill out the simple form. You will need to choose a login name that no one else has used, enter the password you wish to use, and enter your name and email address. The email address will be used to send you a password reset link if you forget your password. It will not be used for any purposes that are not related to using this site. You are not required to have a library card in order to use this web site, but you will need to choose which library system covers your area. 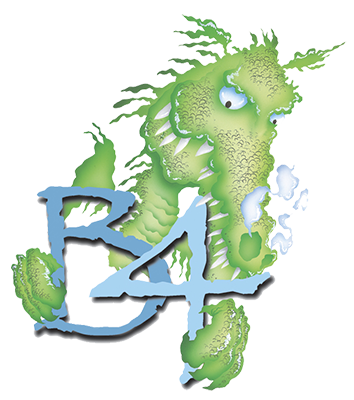 If you wish to change your account information (login name, password, name, email address, or home library), log into the B4 site and then click on the Account Settings link. Then, click on Update My Account to change your stored information. Do not enter anything in the 'Enter a New Password' field unless you wish to change your password. If you leave it blank, your password will not change. If you cannot remember your login name and/or password, you can use the Forgot your password? link on the login screen. You will be asked to enter your email address and an email will be sent to that address with your login name and a link you can use to reset your password. If this process does not work for you, please contact your local library for assistance. After you set up your own account to log in, you must then set up each child's reading log account. To do this, log into the site and click on Account Settings. From this page, click on Add a New Child Account and fill out the short form. Child's Name: You may use just the child's first name or nickname, or you may use the child's full name, whichever you prefer. Child's Library Card Number: This is optional, the child is not required to have his or her own library card. If you do enter a library card here, it will allow library staff members to add books to the child's reading log. For example, if a library storyteller reads a book to ten children at once, the storyteller can then scan all of the children's library cards and add the book to all of the children's reading logs at once rather than each caregiver having to do it individually. If the child does not have a library card number entered here, then the caregiver will need to add it separately. Click on the 'Update Account: (name of child)' link you see, then use the form to update the information. Changes will take effect as soon as you click the 'Submit' button on the page. Note: At the bottom of this form you can also see the date the account was created, the most recent date a book was added, and if the 1000 books goal is met, the date that the goal ws completed. If you no longer want to use this site to track a child's reading progress, you may delete the child's account. To do this, log into the site and go to Account Settings and click on the 'Update Account: (name of child)' link for the child's reading log you wish to delete. At the top of the form, click the link that says 'Delete This Book Log.' If you delete the account, it cannot be undone and you will lose all access to that log. If you have set up a child's account, but you wish to allow other people (parents, grandparents, babysitters, etc.) to be able to add books to the reading log, you may send them invitations that will allow them to do this. They will need to set up their own account logins. To do this, log into this site and go to Account Settings and click on Invite Another Caregiver to Add Books to These Accounts. Enter the person's name and email address, and check the boxes next to the names of each of the children that you would like that person to be able to add books for. An email will be sent to that person. Once they accept the invitation, you will receive an email indicating that the person has accepted. You will also see each of those additional caregivers listed on the Account Settings page underneath each child account name. If you wish to remove reading log access from a person you had previously invited (for example, perhaps the child has switched to a different babysitter), you may do so. Log into your account and go to the Account Settings page. Under each child's name in the 'My Child Accounts' section, you will see each additional caregiver listed. To remove that caregiver, simply click on the 'Remove Access' link next to the name. If you receive an invitation code (usually by email, but the person inviting you can also write down the code to give it to you) to add books to child's reading log account that someone else has set up, you will first need to log in to your own account, then go to the Account Settings page. Click on Accept an Invitation to Add Books to another Child's Account. Enter the invitation you received into the form. You may copy and paste it from the email you received, or you may type it in, but it must be entered exactly. If for some reason it does not work, you may ask the person who invited you to send you another invitation. You may add books to children's reading logs from the form on the Home Page. If you read the same book to several children, this will save you time because you can add the same book to multiple reading logs at the same time! Simply fill in the form and choose which children read the book. Does your child like to hear the same book again and again? Rather than typing in the title and author every time, you can go into the child's book log, find the title that you read before, and click the 'Repeat' icon (it looks like two blue books side by side) next to it. Clicking that icon will copy the title and author into the 'Add a New Book' form at the bottom of the page. All you will need to do is add the rating and submit! If you look up a book in the PINES Kids' Catalog, you will see an icon next to each book to add the book to a child's book log. If you click on the link, it will ask you to log in to your account and then choose the child or children that read the book. It will automatically fill in the title and author for you, so you just need to add a rating and submit. When you submit, it will log you out of your account and bring you back to the PINES catalog page that you left. The book log lists up to 50 books per page, and each page is added automatically as soon as you finish one page. Once the child has multiple pages, you will be able to switch from page to page by using the 'Previous' and 'Next' links at the top and bottom of each page, or by clicking on one of colored-in books at the top of the page to jump to a specific part of the list. If you want to print a child's entire reading log, go into the child's reading log (it does not matter which page) and click the 'Print Entire Book Log' link at the top of the page. This will open a new browser tab and show all of the books read so far on a single page without all of the unnecessary buttons and links. You can use your web browser's built-in print options to print it out. If you wish to find out how many pages it will print onto before actually printing it, you can use your web browser's print preview functionality (File > Print Preview). A completed book log of 1000 books will usually print on around 40 pages - this may vary slightly depending on variations from computer to computer. After you print the page, close the browser tab to return to the normal site. If you accidentally add the wrong book to a child's reading log, you may remove it. Simply find the book in the log and click the Remove icon (a gray book with a red X on it). Note: Only the caregiver who originally set up the child's account can delete a book from it. Other caregivers that were invited will not have this option. You can sort a child's reading log by title, author, date read, or rating by clicking on the header link at the top of each column. You can also search the entire log for a title or author to see if the child has already read a book. To search, go into the child's log and click on the 'Search This Book Log' link at the top of the list. Enter a part of the title and/or author you are looking for into the search form and click the 'Search' button. The search will work best if you just use a word or two, and you just use letters and numbers, and not any unusual characters such as exclamation marks or other punctuation marks.